We are fortunate to have some distinguished healthcare professionals with exemplary track records as our advisors. In our endeavor to blend the best of both worlds, we are privileged to draw upon expert inputs from our advisors, who are as familiar with global best practices as they are with the ground realities in emerging economies like India. Given their rare background spanning across clinical practice, academia and administration, their contributions become even more valuable. We are proud to present brief profiles of members in our Advisory Panel, who come from globally renowned institutions such as Johns Hopkins Hospital, Henry Ford Health System and Sanjay Gandhi Postgraduate Institute of Medical Sciences (SGPGI), Lucknow, India. Dr Mahendra Bhandari, MD, MBA is the CEO at the Vattikuti Foundation and Symposium Director at Vattikutti Urology Institute for Robotic Surgery at Henry Ford Hospital in Detroit, USA. He has mentored some of the leading robotic surgeons in the world and is committed to bringing the benefits of this advanced technology to the common man. 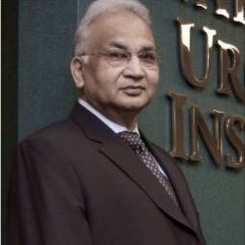 After his successful tenure as the Director of Sanjay Gandhi Postgraduate Institute of Medical Sciences (SGPGIMS), Lucknow, India, Dr Bhandari became the first Vice Chancellor of Chhatrapati Shahu Ji Maharaj Medical University (erstwhile King George’s Medical University). He is a globally renowned urologist, who has made substantial contributions to the specialty of urology, medical training, hospital administration and medical ethics. For his pioneering contributions, he was awarded the Padma Shri by the Government of India in 2000. His eclectic interests include kidney transplantation, stone disease, and urethroplasty. His research has substantially improved the management of urethral strictures. He also established the Indian Journal of Urology in 1984, an open-access and widely read source of literature in the field. Dr Engineer is an Assistant Professor in the Departments of Anesthesiology and Critical Care Medicine at the Johns Hopkins School of Medicine, and in the Departments of Health Policy and Management at the Johns Hopkins Bloomberg School of Public Health. She also co-directs the Doctorate of Public Health program and is a Patient Safety Coach at the Center for Innovation and Quality Patient Care. Dr Engineer’s patient safety research work includes the development of the first intensive care unit safety reporting system (ICUSRS) in the US. She serves on a WHO task force that is creating a practical curriculum guide for training patient safety improvement researchers and practitioners.In her role as a Quality and Innovations coach, Dr Engineer helped to roll out the Comprehensive Unit Based Safety Program (CUSP) in patient care units of select departments at Johns Hopkins. Dr Engineer began her career as in India at the Breach Candy Hospital and Research Center, Mumbai, where she pioneered the establishment of quality circles. 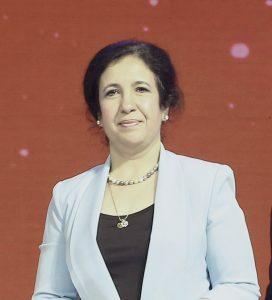 She earned her medical degree from the Post Graduate Institute of Medical Science, Rohtak and Master of Hospital Administration degree from the Tata Institute of Social Sciences, Mumbai in India. Thereafter she obtained a doctorate in health care management and leadership from the Johns Hopkins.